Friends Mahaonline (महाऑनलाइन) is an e governance portal and it is an initiative of the Government of Maharashtra. Mahaonline in basically a joint venture between the Government of Maharashtra and the Tata consultancy services (TCS). The core objective of this portal is to serve various government departments and to bring their services directly to the door steps of the citizens of Maharashtra. Online application form of various government departments through its Online Recruitment Portal- MahaRecruitment. 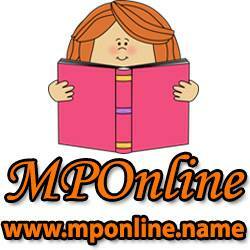 Online admission system for various universities of Maharashtra. Online certificates such as caste certificate, farmer certificate, Age, Nationality and Domicile Certificate. Online license and permit facility such as issuing permit for Boarding, Lodging, Eating House, Hotel Permits and Cable Operator License Permit Renewal etc. Online ticket reservation facility for various transport system and National Parks. Friends here you can fill out online job application form for any ongoing recruitment announced by the concerned department through its Online Recruitment Portal- MahaRecruitment or you can apply for online admission for Distance & Open Learning System in Mumbai University. Mahaonline portal. This is a complete video tutorial where we have covered all the questions and doubts. www.mponline.name on a regular basis to get the latest and updated information about the new job recruitments in Madhya Pradesh and all across India. Thanks for reading.